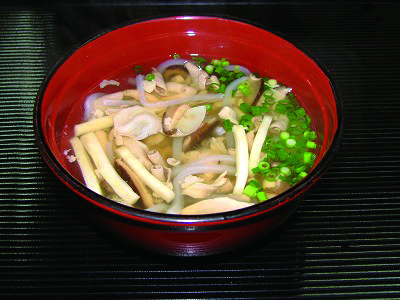 Nakami soup is one of famous and popular traditional dish of Okinawa region. It is a soup that is made of intestines and stomach (nakami) of cow or pork, bean-curd leavings and dried shiitake mushrooms. The soup preparation takes some time and is complex. The basis of nakami soup is fish or pork stock. Sometimes the intestines and stomach are boiled previously in milk or rice stock. Soy sauce and ginger are added for a better taste. The soup is served in a Japanese soup bowl. 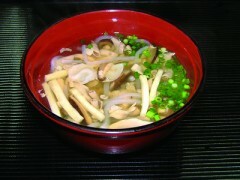 Nakami soup is also called nakami jiru.